Baby Grandmothers are one of the most prolific and unique psychedelic, modal, experimental power-trios to emerge out of the Scandinavian psychedelic underground-scene in 1967 and are now active and performing again. Baby Grandmothers were formed out of the legendary R&B / beat band T-Boones in the summer of 1967. T-Boones are probably best known for their “At the club/King of the Orient” single which is one of the best, and most collectable, out of the Swedish garage beat-era. 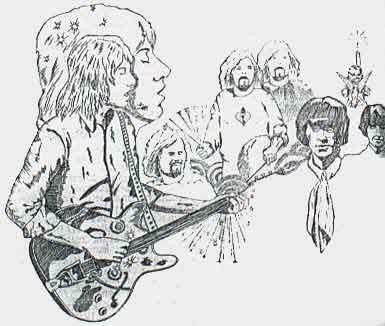 Guitar-wiz Kenny Håkansson joined the band in 1965 and with the group down to a trio they drifted into the psychedelic sounds of the time and in August 1967 released the single “I Want You”, which definitely was the first hard-rock recording ever made in Sweden. 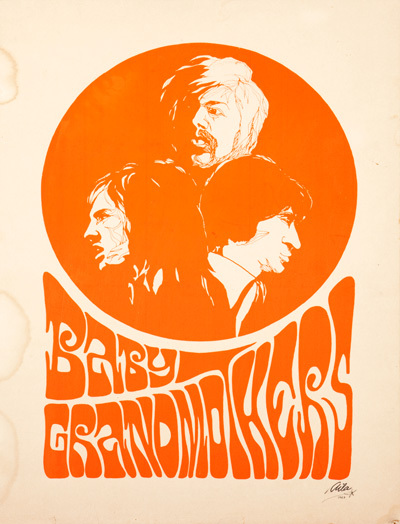 The band was then re-christened Baby Grandmothers by the co-founder of the newly opened psychedelic club Filips, for which he needed a house-band. Filips was the legendary breeding ground for bands such as Hansson & Karlsson, Pärson Sound, as well as orgiastic all night jams with foreign luminaries such as Jimi Hendrix and the Mothers of Invention. 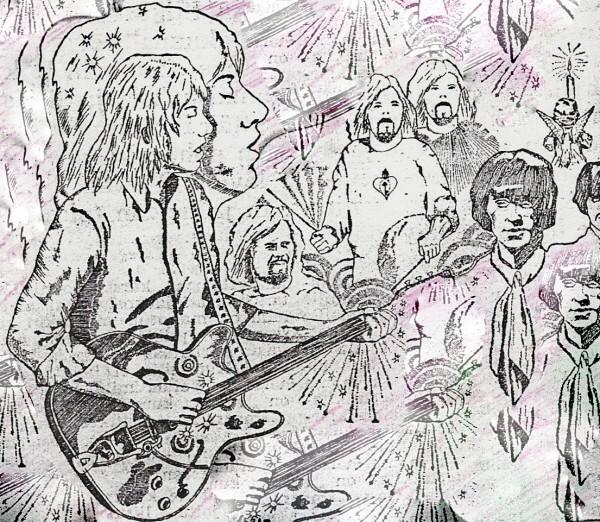 Baby Grandmothers also supported Jimi Hednrix on his Swedish tour in 1968 and then slowly mutated into Mecki Mark Men, who became the first Swedish rock band to tour the US. Founding member Kenny Håkansson went on to form the highly influential Kebnekajse, who created the Swedish electric folk psych sound.